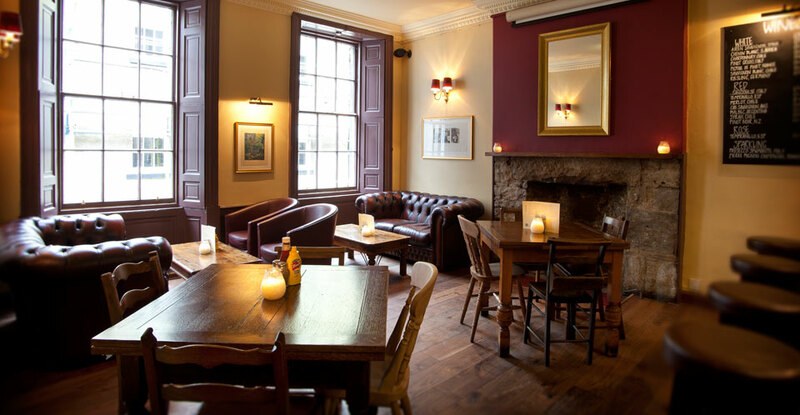 The Cambridge Bar is a free house specialising in craft beers & ales and gourmet homemade burgers. 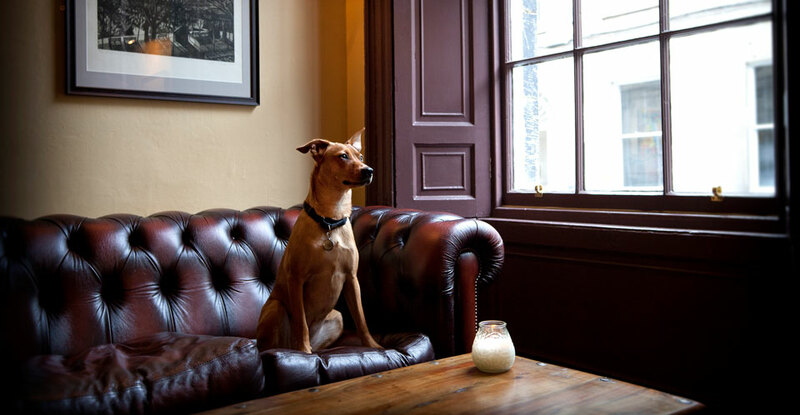 Located on a quiet side street in the bustling city centre, the pub offers the best of both worlds. We’re a truly independent pub, which gives us the freedom to offer the food & drink we think you’ll enjoy. We’re mainly known for three things: our burgers, our beers, and showing sport. You can be sure to find not only rugby and football on our screens, but a whole range of sport. Our LED projector really shines on a 92” (2.3m) screen. However, we keep the music playing and the big screen folded away unless there’s a big fixture on. The idea is this: do something simple, and do it well. Our burger menu offers something for everyone, using 100% Scottish beef, buffalo and chicken and locally-sourced ingredients. We also have kid-sized burgers if you’re in with the family. Keep an eye out for our monthly specials, including seasonal lamb and pork. Our beers have been carefully researched to offer you the best of a variety of styles. On draught, we have favourites like Guinness and Heineken alongside Scottish craft beers and cider. On cask, we have a dedicated IPA line and two guest lines constantly offering something seasonal and different. A guest bottle spot complements our existing selection. The wine list has been given the same level of care as our beer menu. By the glass, we offer seven red, seven white and two rosé. If you feel like celebrating, we also offer prosecco and champagne by the bottle. Spirits include premium brands from around the globe, and a growing number of local & craft offerings. Whisky takes pride of place, showcasing the best of the Scottish regions. Vegetarian? Gluten-free? No problem. Both the kitchen and the bar offer vegetarian and gluten-free options. Non-drinkers have a choice of non-alcoholic drinks, including Beck’s, Erdinger & Heineken 0. Monday night is quiz night; the action starts at 8:45pm. There’s no entry fee, great prizes, and plenty of fun to be had! Lunchtime doesn’t have to mean eating at your desk or on your feet. But if you’re strapped for time, or the weather is just too good to stay indoors, come grab a burger to take away. 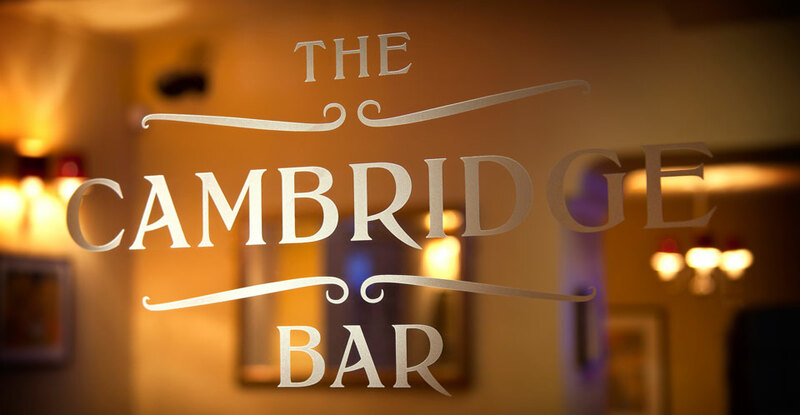 The Cambridge Bar is the perfect venue for a broad range of events, from intimate sit-down gatherings to buffet and drinks parties. Dogs are welcome all day, and children &a young persons are welcome until 10:00pm.